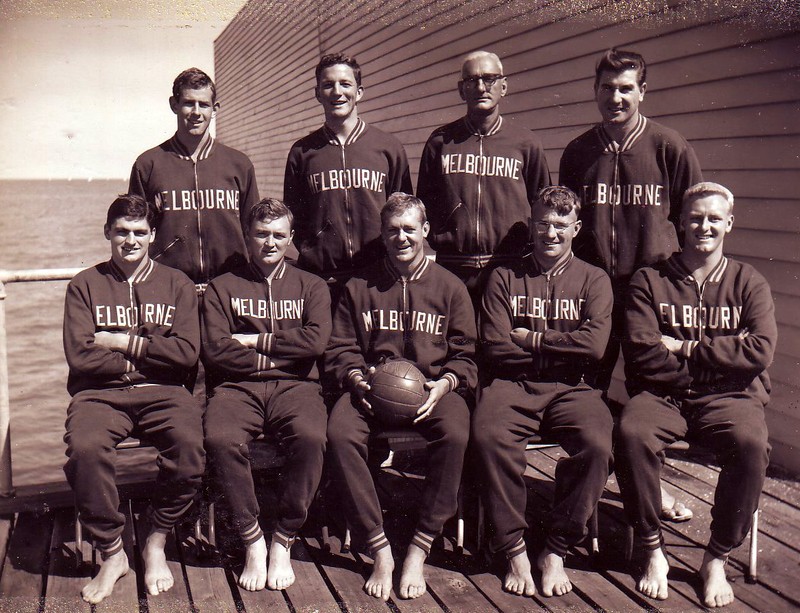 The team of Melbourne Water Polo in 1957. Back row L-R: Tim Ive, Bill McCabe (Olympics 1956), Jack Basto (Manager), Ivo Stakula. Front row: Jim Farrell (Olympics 1956), Ron Wootton (Aus Coach Olympics 1972), Peter Bennett (Olympics 1952/56), Des Webb, John Wilson (Melbourne Water Polo Legend, 1040 games).